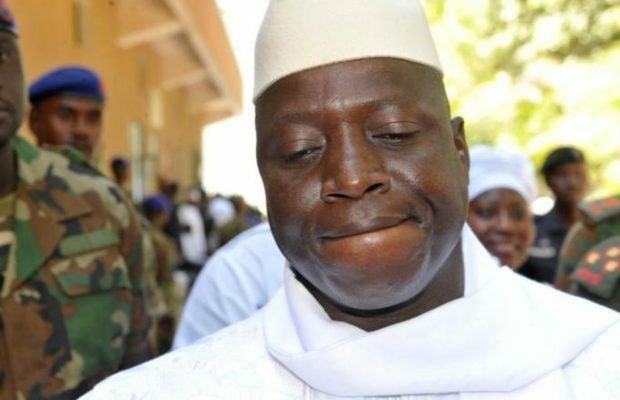 ”He has probably gone into hiding to stop further negotiation,” A Gambian journalist who pleaded his identity be protected told newsmen. Recall that the embattled president’s tenure ended Wednesday midnight, although, he has insisted he won’t step down, despite losing the December 1 election. But President-elect, Adama Barrow, had vowed to go ahead with his inauguration on Thursday, and ECOWAS, the regional bloc, had vowed to use military force if necessary to remove resolute Jammeh. Troops from Senegal, Nigeria and Ghana on Thursday remained in position in Senegal in case a military intervention becomes necessary. An ECOMOG military Commander, Maiga Mboro told AP, “All the troops are already in place and some not far from the Gambian border. Meanwhile, the president-elect, who is awaiting his swearing-in today, affirmed that Jammeh’s tenure was “officially over”.